The Government, Military and Veterans Affairs Committee heard testimony Feb. 1 on a resolution to call for a convention of the states, authorized under Article V of the U.S. Constitution. 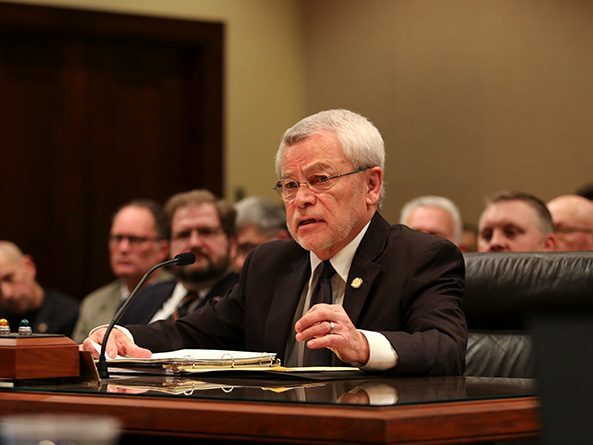 Sen. Steve Halloran of Hastings, who introduced LR7, said 12 states have passed such a resolution. Congress would be compelled to call a convention of the states if 34 states pass identical resolutions. • impose term limits on members of Congress and federal officials. Amendments approved at a convention of the states must then be ratified by 38 states to become binding. That, Halloran said, provides a safeguard against controversial amendments, like repealing the Second Amendment or outlawing abortion. Joe Stephans testified in favor of the resolution. Stephans is a volunteer with Convention of States Project, and said there is much support for a convention among Nebraskans. He cited the ongoing fight over the federal budget as evidence of the need for congressional term limits. “People are tired of the dysfunctional federal government,” Stephans said. Steve Riese of Plattsmouth also spoke in favor of the resolution. National debt, he said, is a greater threat to America’s security than the Islamic State of Iraq and Syria, Russia or China. “Our fiscal future is bleak and our ability to defend our values comes into question,” Riese said. Mark Adamson testified in support of the resolution. Adamson said he’s volunteered with Convention of States Action in the hope that a convention would impose term limits on members of Congress. Testifying against the resolution was Matthew Parker of Omaha. A convention is “untried and untested,” he said, and the rules governing a convention are unclear. “There is no broad legal consensus on how it will proceed,” he said. Also speaking in opposition to LR7 was Susan Soriente. She agreed with the supporters’ frustrations but said a convention of the states was a poor way to fix the problems. Renee Fry of the OpenSky Policy Institute also testified against the resolution. Allowing the federal government to go into debt is sometimes necessary to manage crises, like a recession or a war, Fry said. The committee also considered LB451, introduced by Halloran. The bill would require that all delegates to a convention of the states be required to take an oath promising not to vote on any amendment to the U.S. Constitution not previously approved by the Nebraska Legislature. Casting an unauthorized vote would be a felony, and that delegate would be disqualified from continued service in the role. Brandon Benson of Convention of States Action testified in favor of the bill. He said momentum is building for a convention of the states, and Nebraska needs to establish rules governing convention delegates. Larry Storer of Omaha testified against LB451. 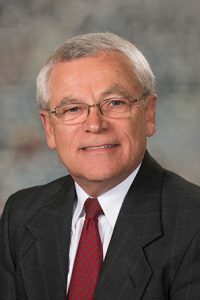 Storer said the state does not have the power to decide who represents Nebraska at a convention of the states. “You don’t have the right to take that away from us,” Storer said. The committee took no immediate action on LR7 or LB451.